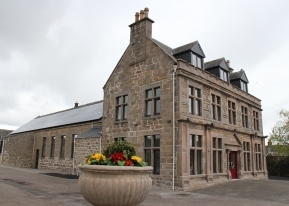 If you would like to book any part of the Fochabers Public Institute you can download a booking form from our website at http://fochabersinstitute.org, contact the bookings manager on 07513 194445 or by emailing fochabers.institute@gmail.com. You can check availability by looking at the Institute Bookings Calendar on the website or by contacting the bookings manager. All concerts & functions, including parties, weddings, require an all facilities booking. All drinks provided, purchased or consumed on the premises must be through facilities provided by the Institute. The above fees includes the cost of applying for a license for the event from Moray Council, which the Institute will apply for on behalf of the hirer. Bring your own bottle vents are NOT permitted on the premises.